This home is located in North Mayfair close to the intersection of North Elston Avenue and West Lawrence Avenue. 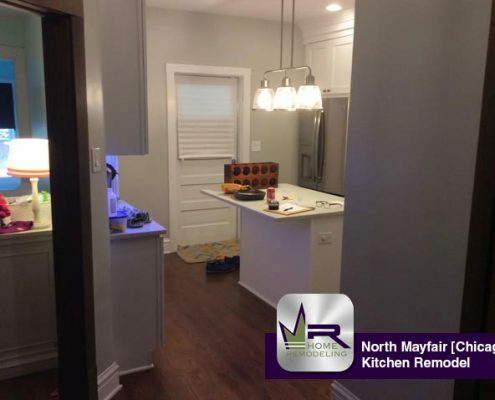 North Mayfair is recognized as a historic neighborhood on the Far North Side of Chicago and is located within Albany Park. 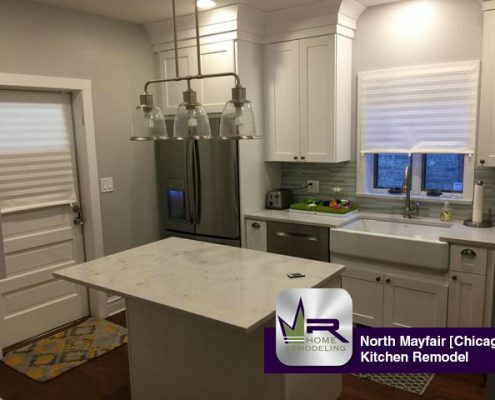 North Mayfair is well known for its historic architecture and has been deemed one of the best “Old House” neighborhood in the United States by This Old House Magazine and the entire neighborhood is listed on the National Register of Historic Places. 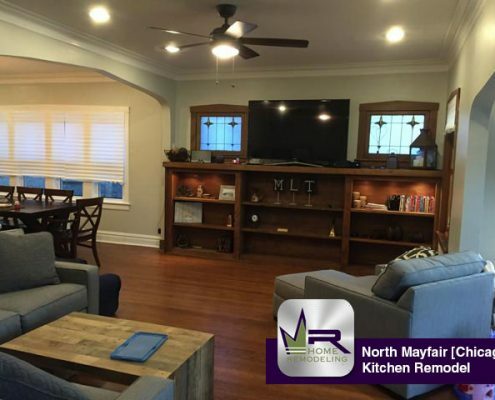 Some of the popular fun places around this home include: Gompers Park, Labagh Woods, Eugene Field Park, Mana Digital Dive, AMC Theatres, and more. 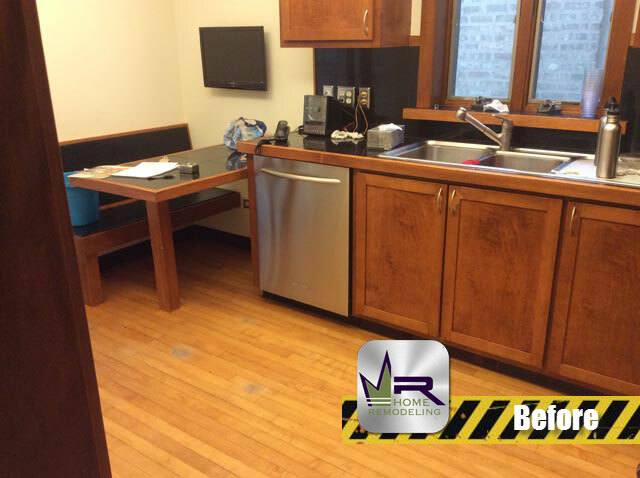 Some of the fun night life attractions include: 240 Lounge & Café, Sidekicks, Rabbit’s Bar and Grill, The Copernicus Center, Chicago Brass Festival, Roots Room, and many more. 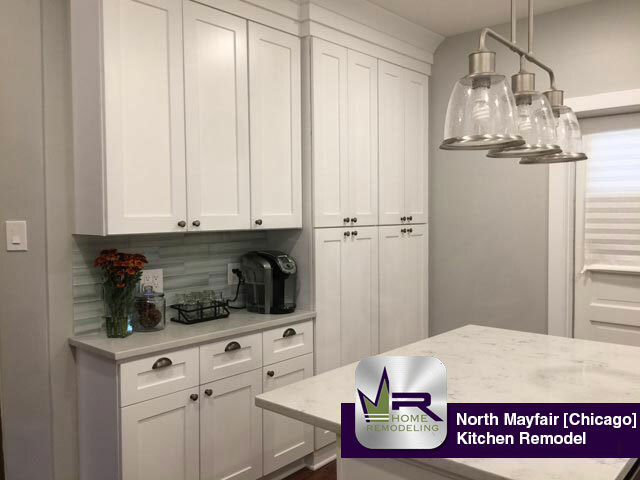 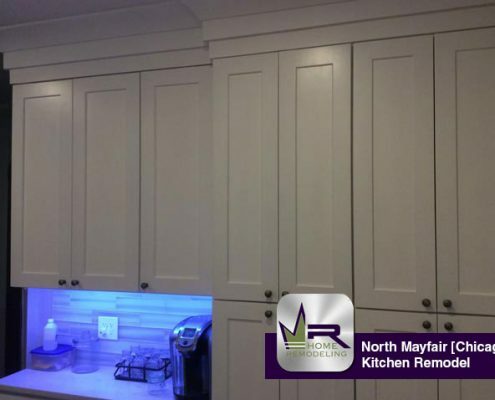 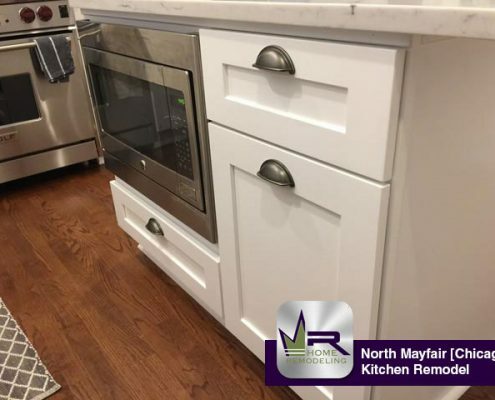 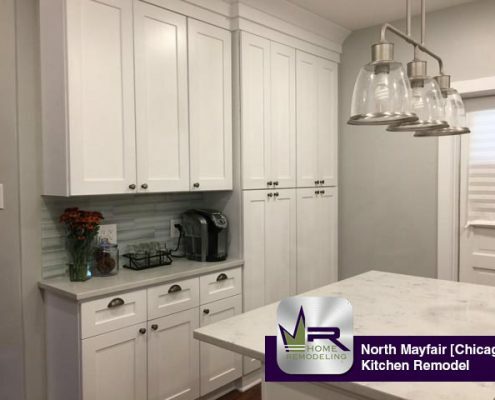 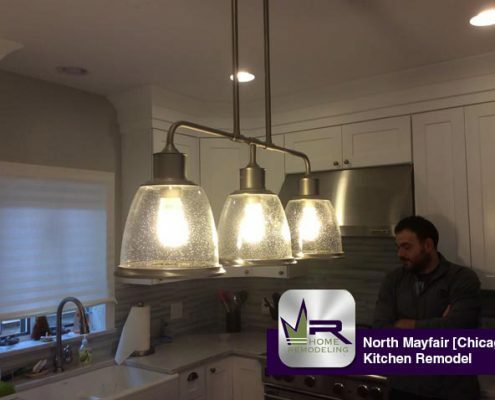 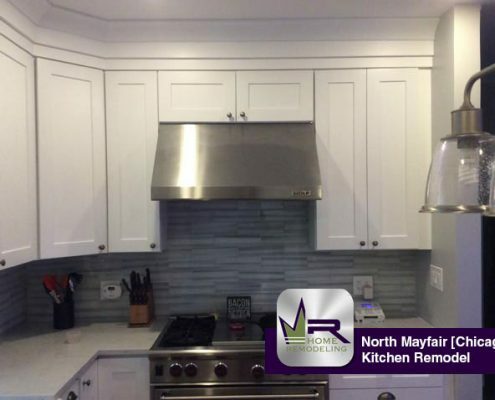 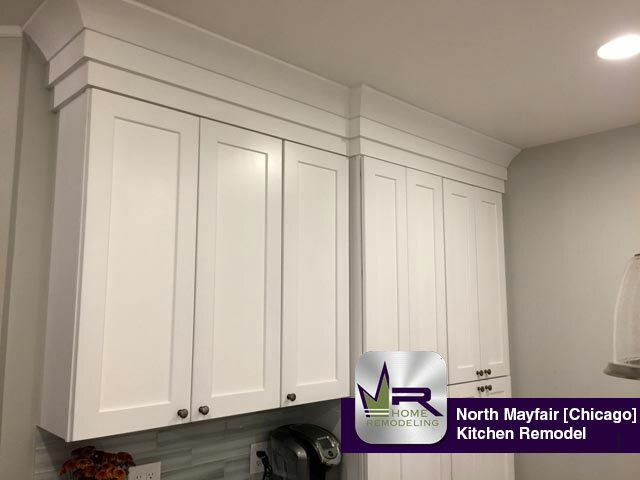 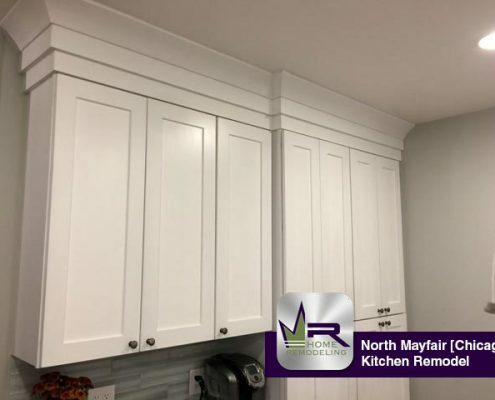 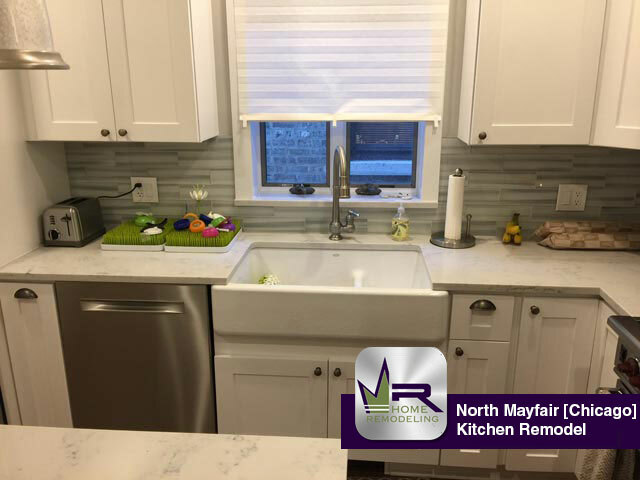 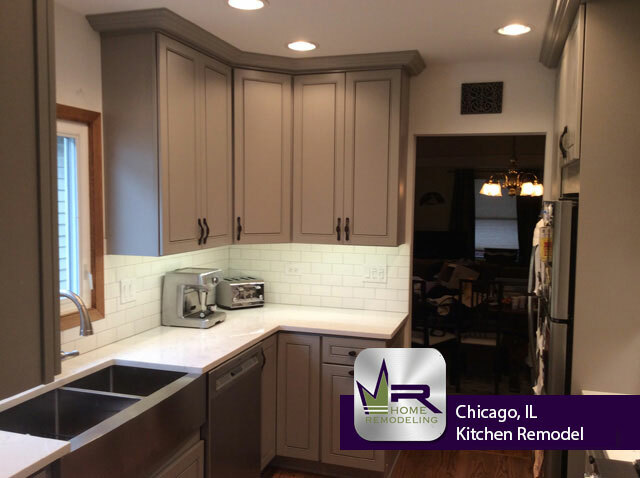 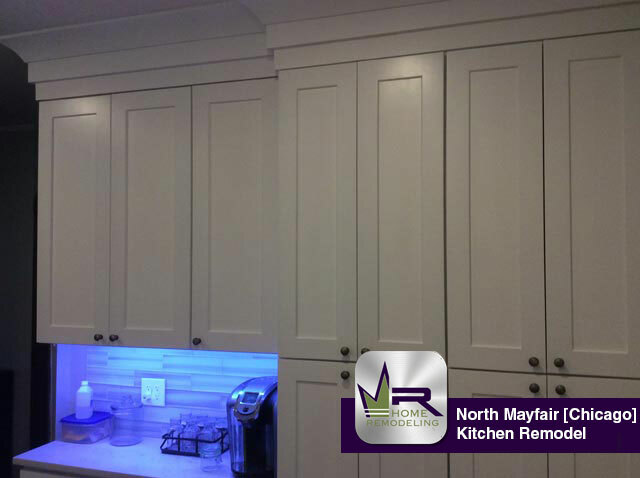 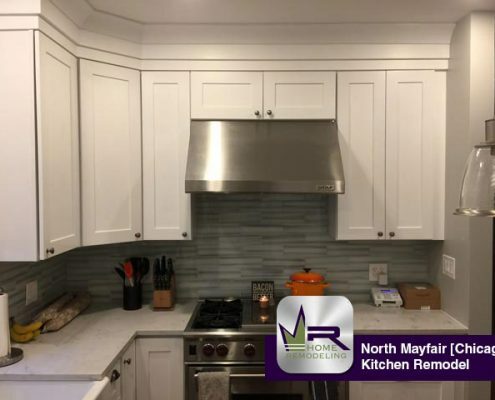 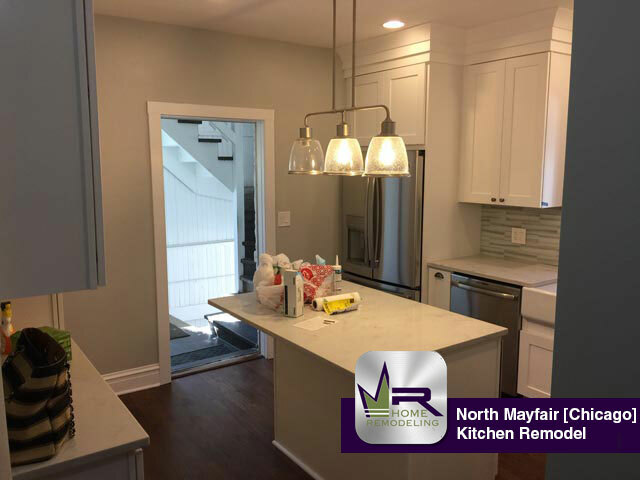 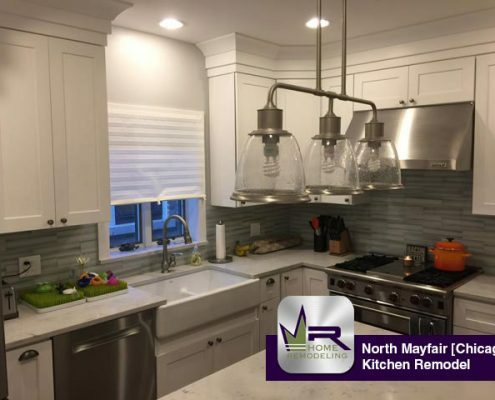 The customers of this lovely home wanted to transform their kitchen space into one that would allow for more efficiently usage as well as one that would be a major upgrade in terms of style. 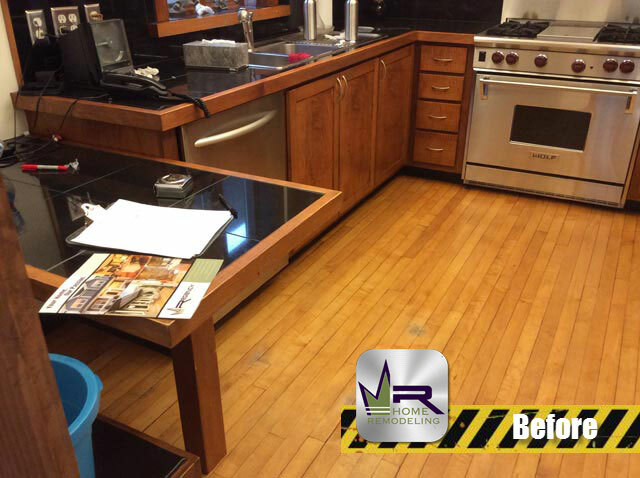 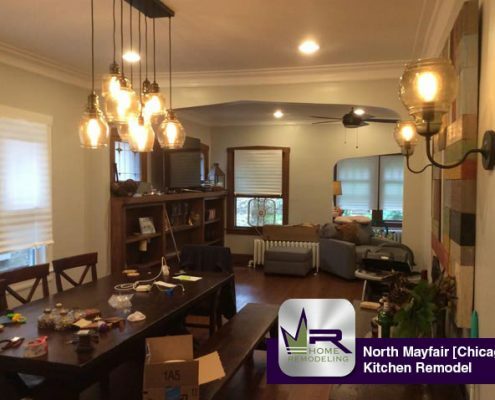 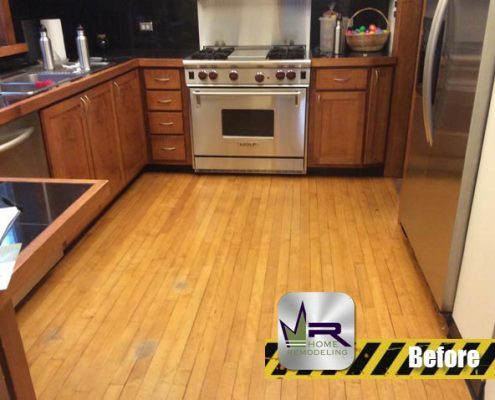 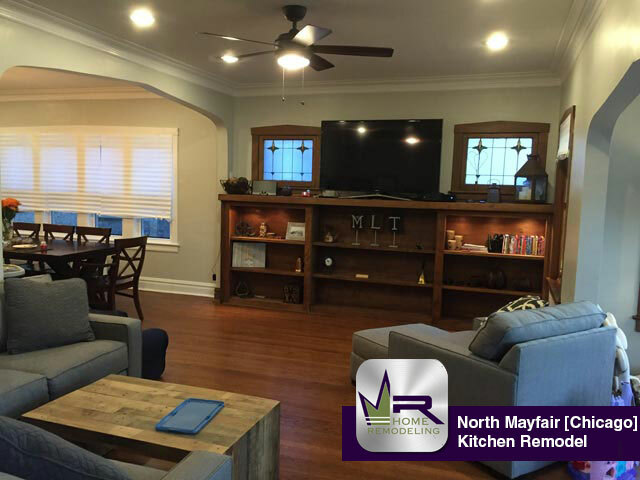 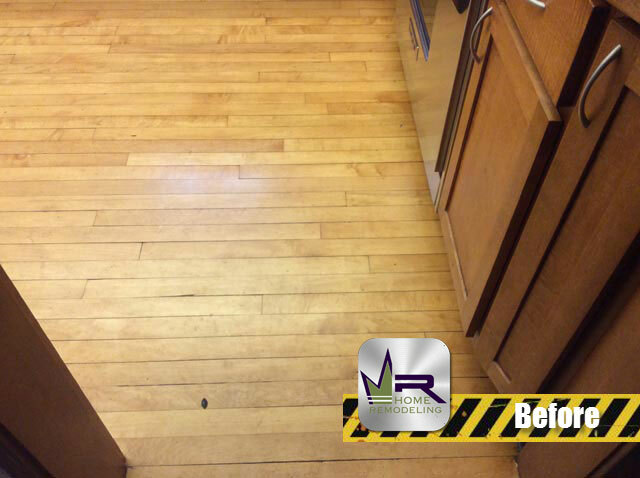 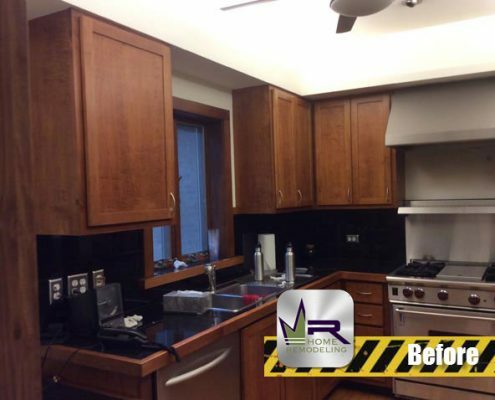 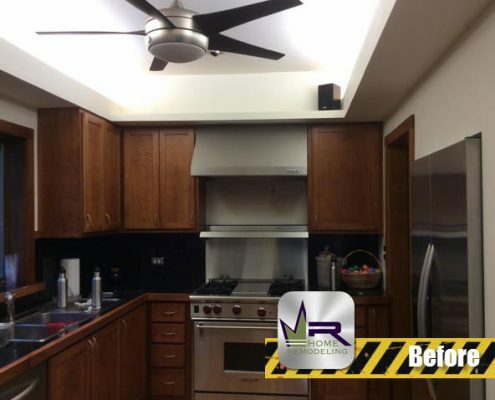 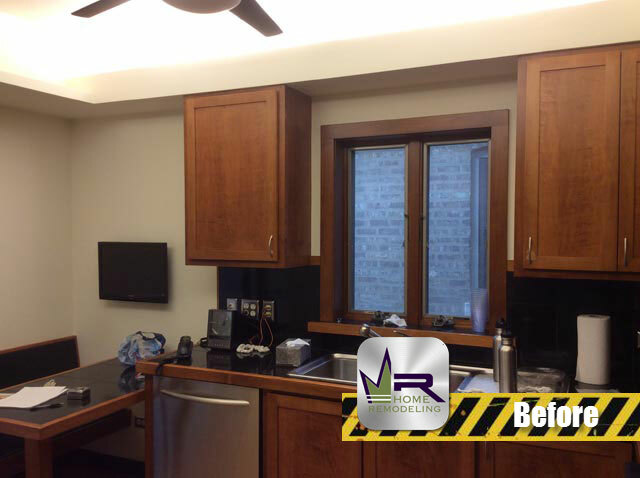 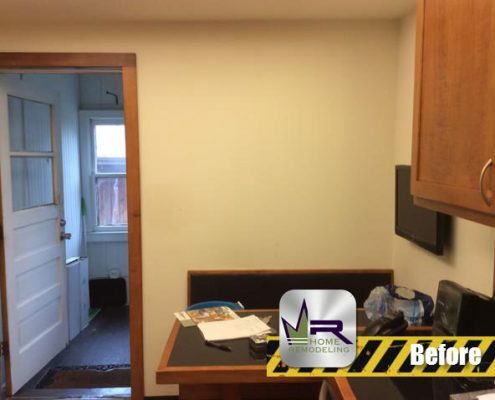 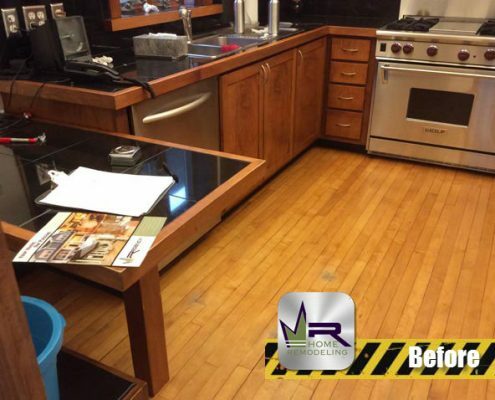 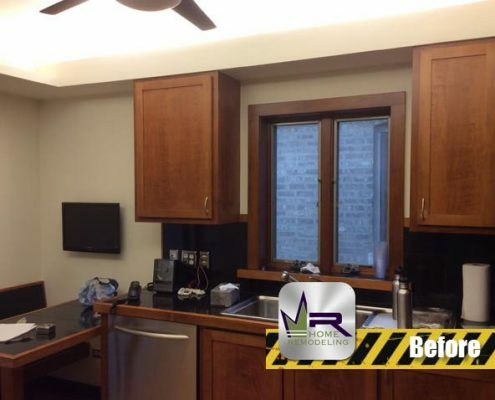 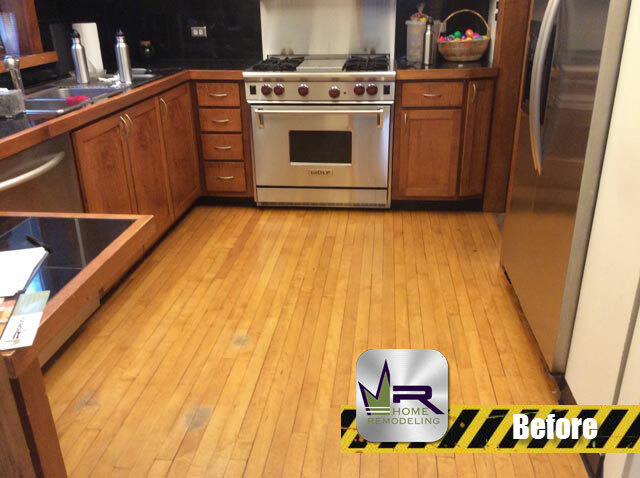 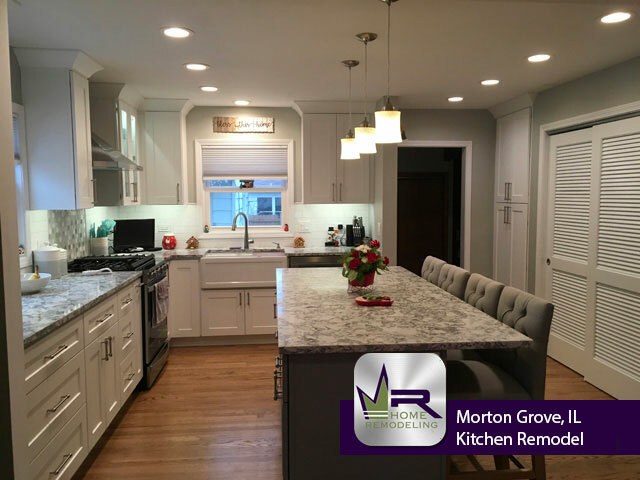 This substantial remodel was started with the removal of all kitchen flooring, cabinetry, countertops, and most of the appliances. 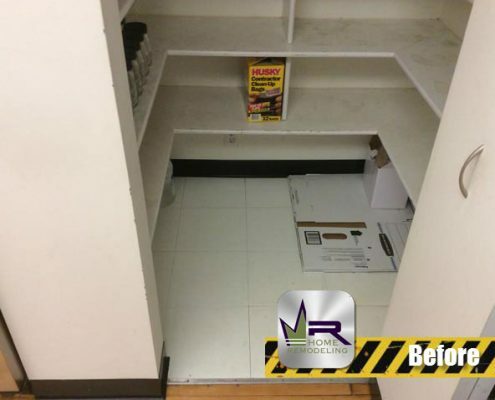 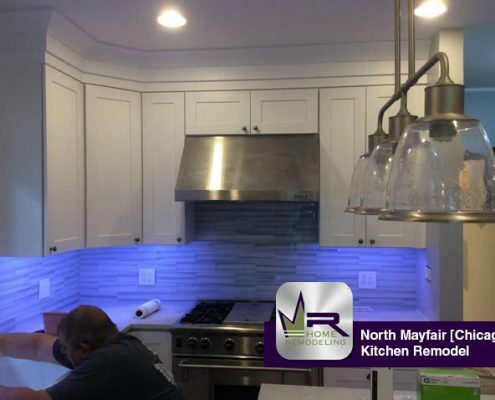 Additionally, new electrical wiring was installed for the new appliance locations as well as for the installation of 10 new recessed cans along the ceiling. 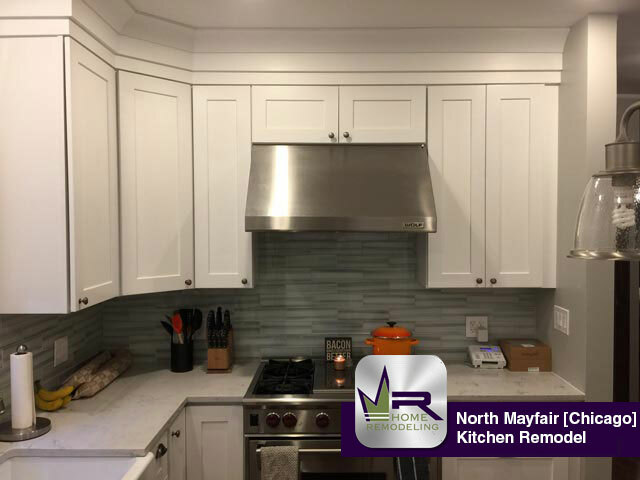 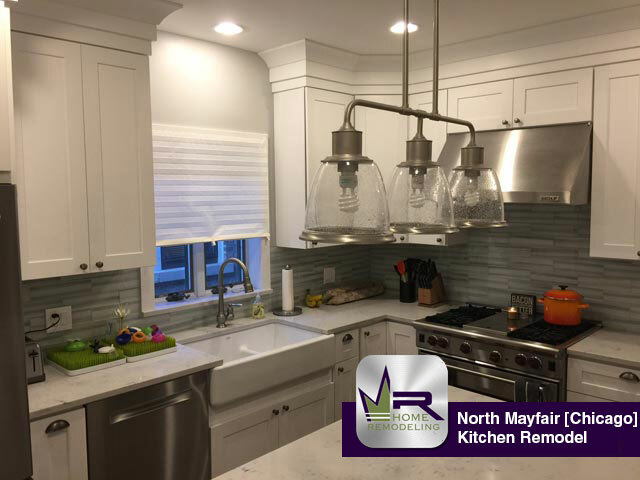 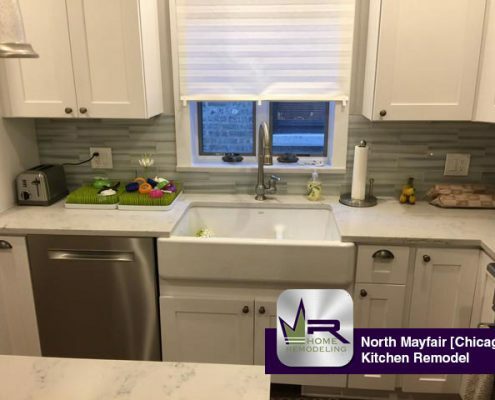 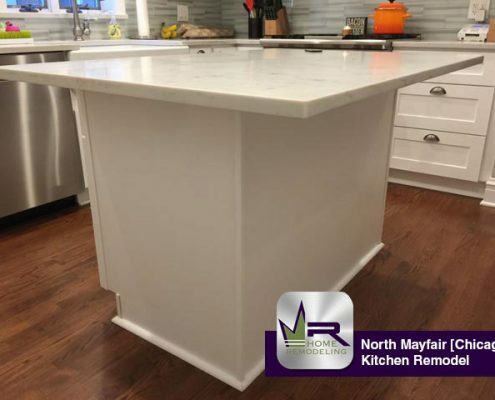 The purpose of this job was to convert the style to one that was more contemporary, increase the counter space by extending the countertops and building an island in the middle of the kitchen, and rearrange the layout of the kitchen in favor of one that was more practical. 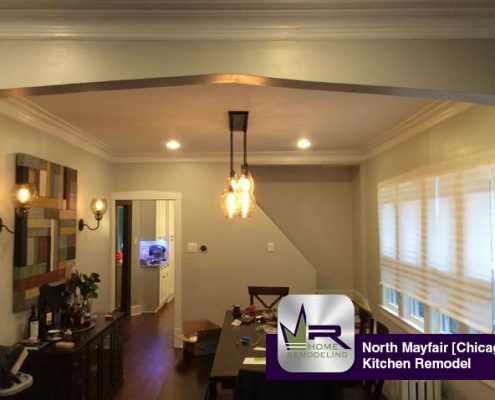 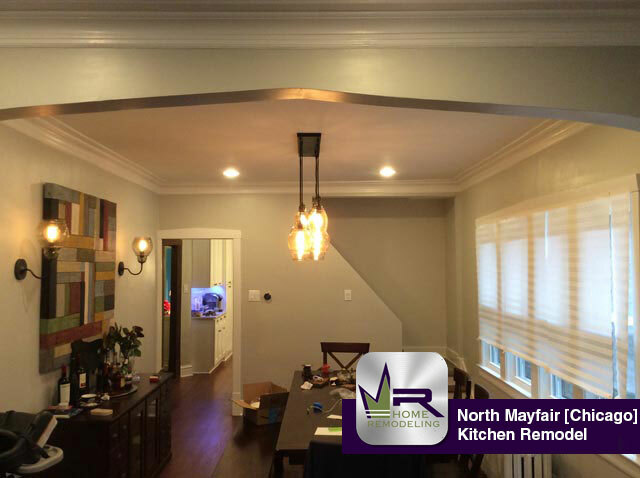 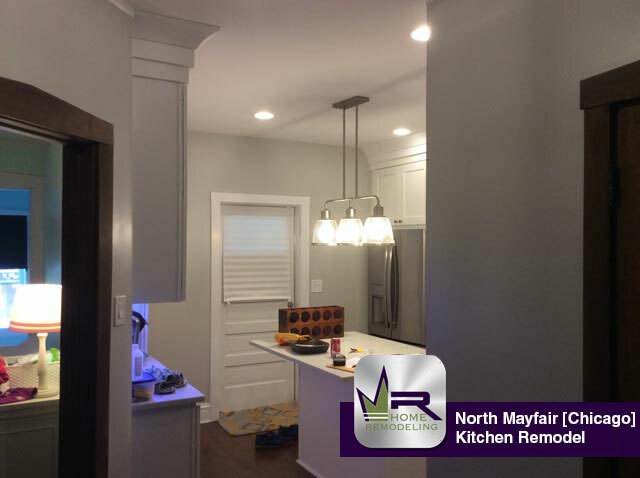 The customers absolutely love their new kitchen space and the skillful work of Regency Home Remodeling! 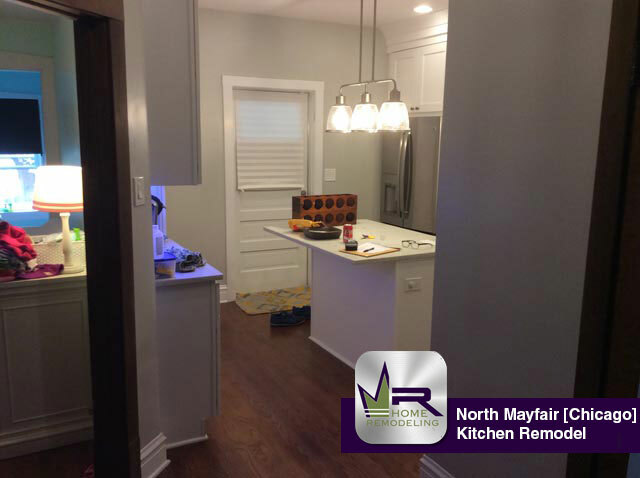 A notable change in this kitchen area is the new layout. 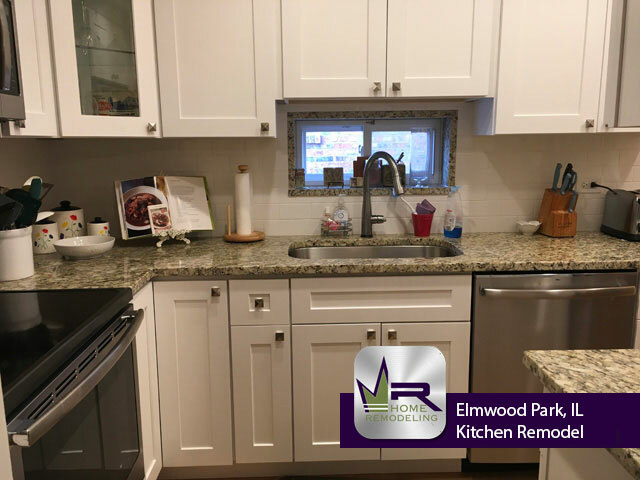 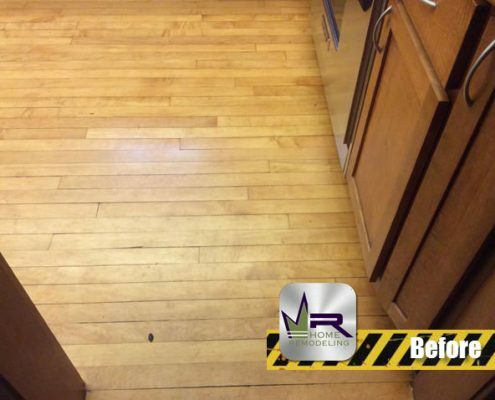 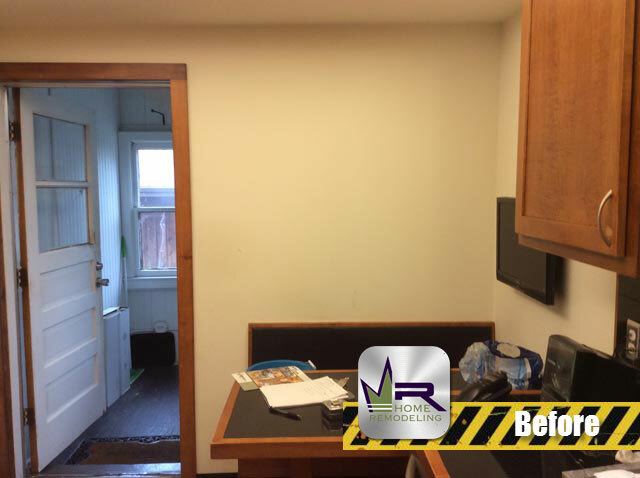 The removal of the small table in the kitchen that served as an eating area was removed, which created space to extend the L-shaped countertops all the way to the wall. 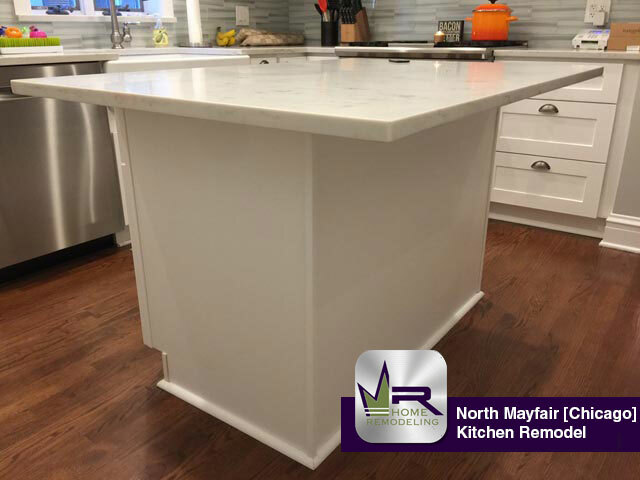 Also, a convenient and practical island was built in the middle of the kitchen, which added tremendously to the increased counter space. 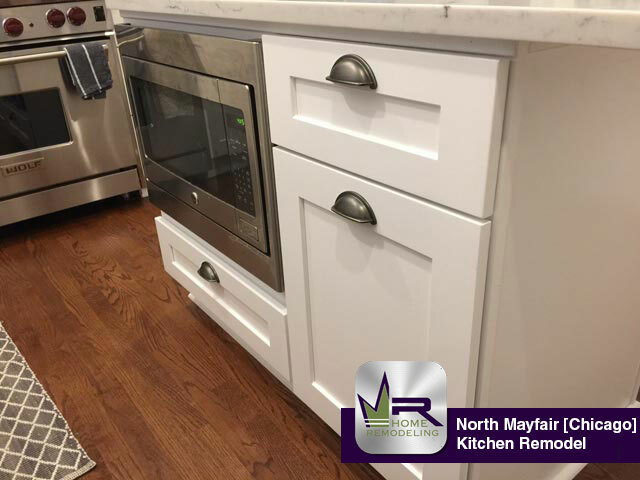 The island and L-shaped countertops were topped with a light Carrara Gioia finish from Daltile, which matched beautifully with the White Maple cabinetry. 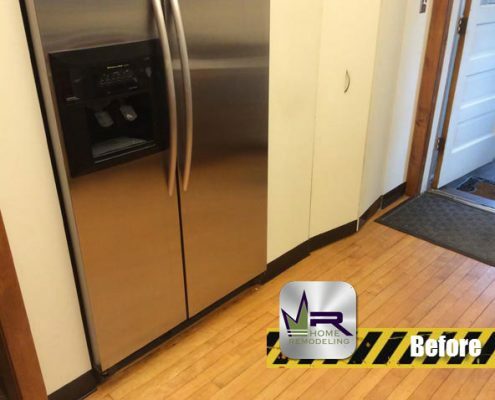 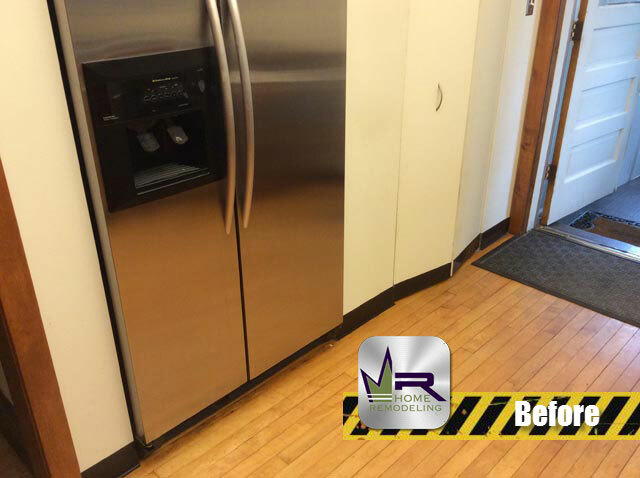 The stainless steel appliances provide an added luxury and convenience that the previous space did not have. 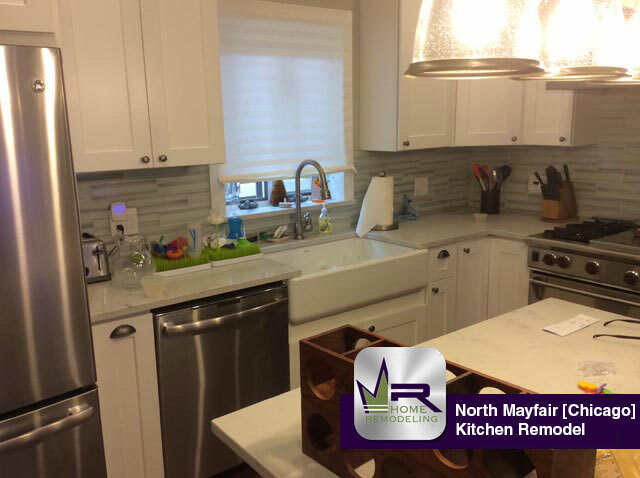 This was accomplished with the installation of GE refrigerator, dishwasher, and microwave. 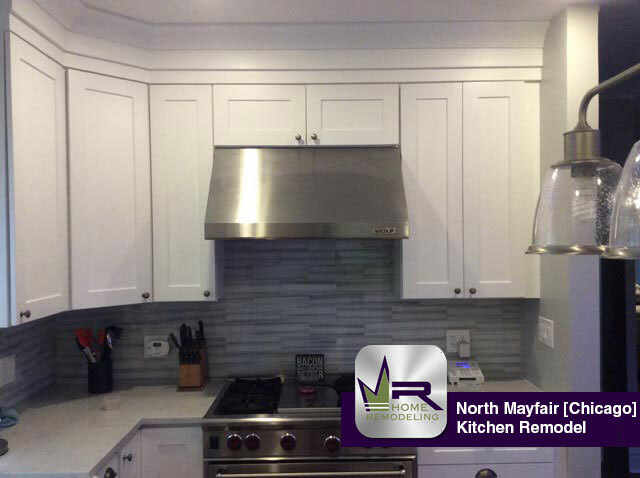 The modern Wolf oven/stove top and hood was kept as it matched the rest of the kitchen. Another very cool feature of this kitchen is the backsplash and lighting. 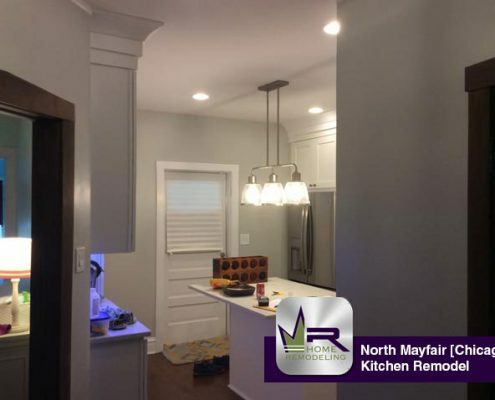 The lighting underneath the cabinetry and above the countertops was equipped with blue light bulbs, which add a very cool and tasteful color scheme to the space. 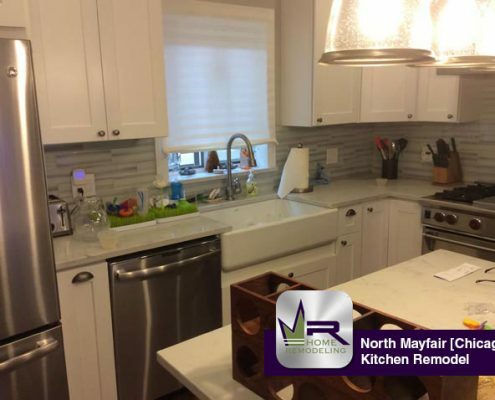 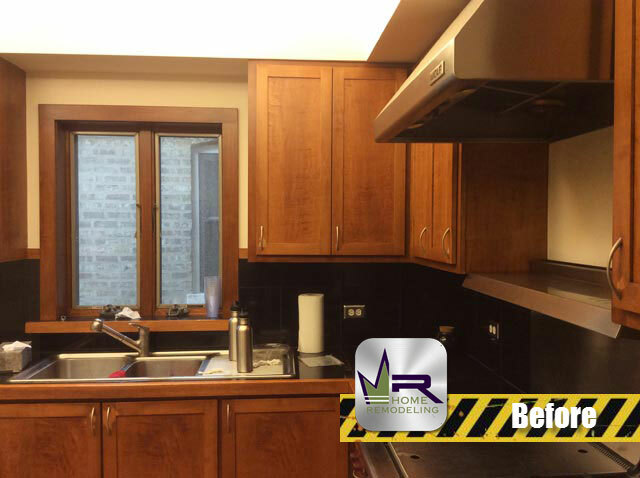 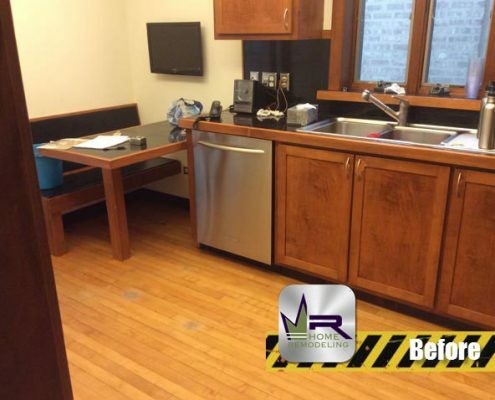 Everything about this kitchen was significantly upgraded in a very elegant and competent manner. 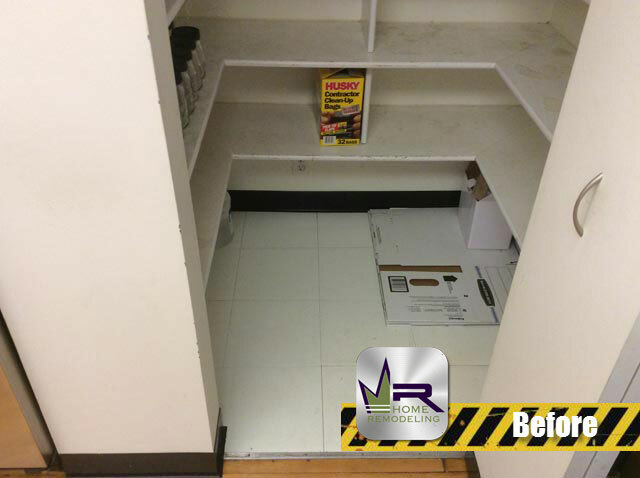 There is no way the customers will get bored of this new space and will look forward to using this new space every day!